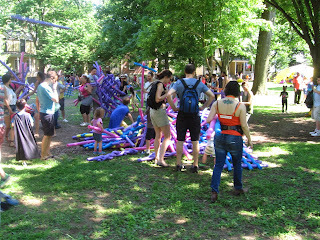 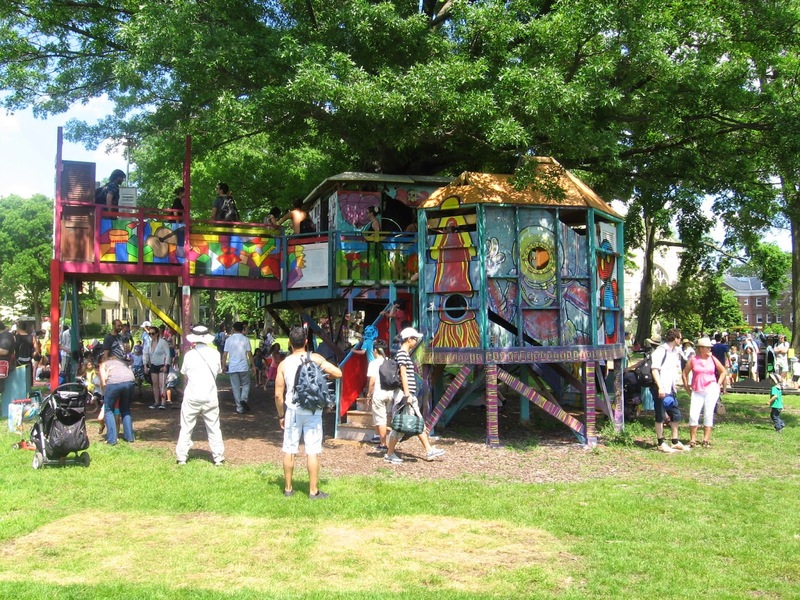 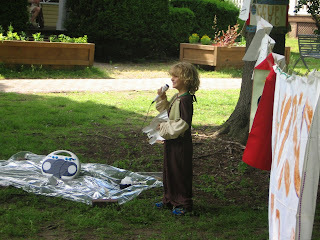 And if I must blogger say, FIGMENT NYC was awesome. 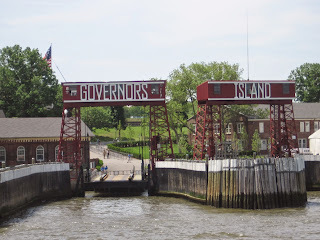 And that ferry boat ride that one takes across the water to get to Governors Island and all of its art, art and more art, well that was even more awesome to see New York City and all of its harbor views. 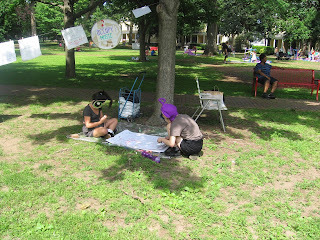 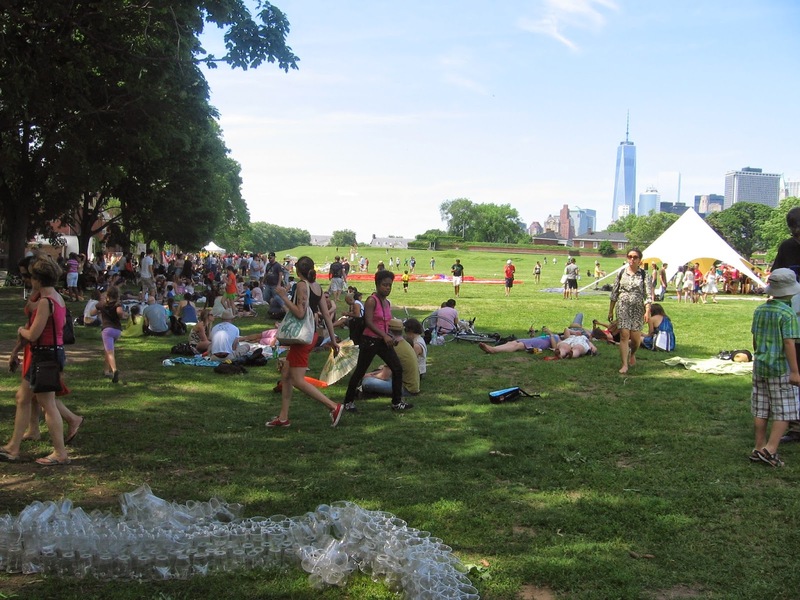 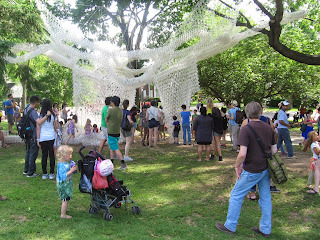 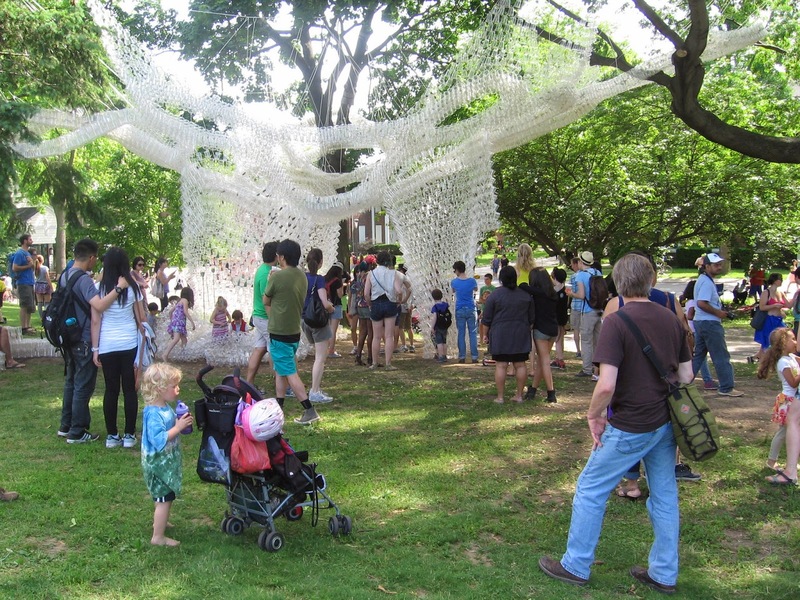 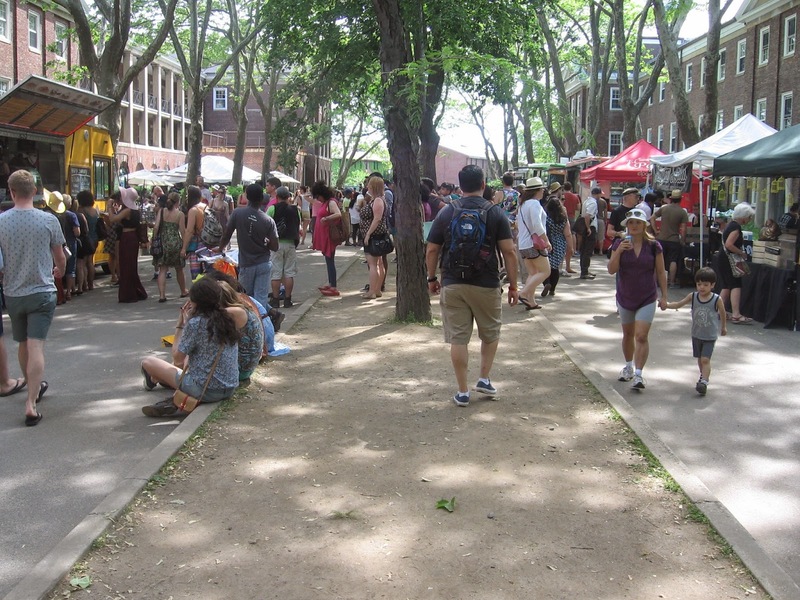 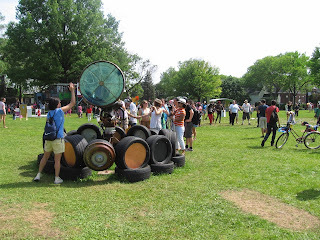 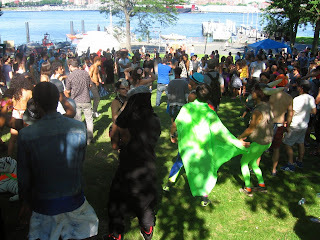 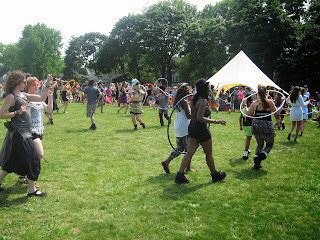 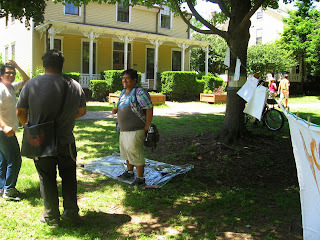 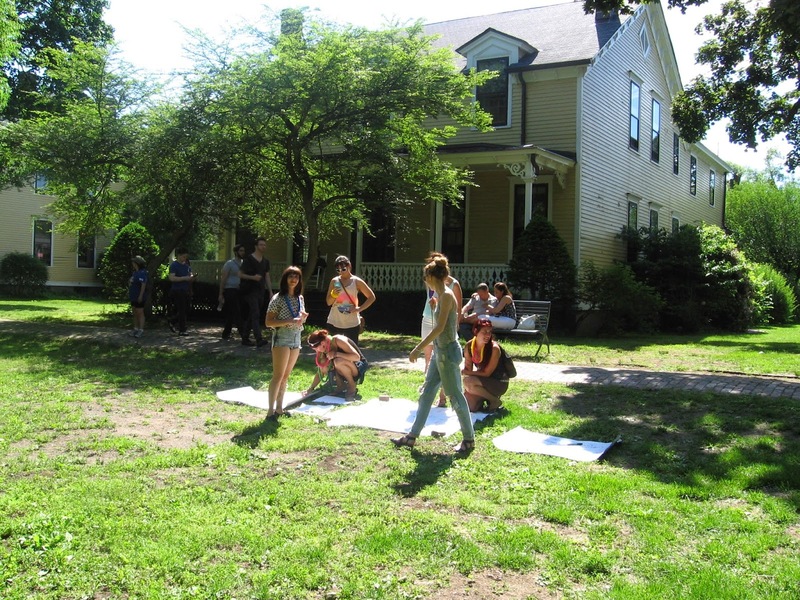 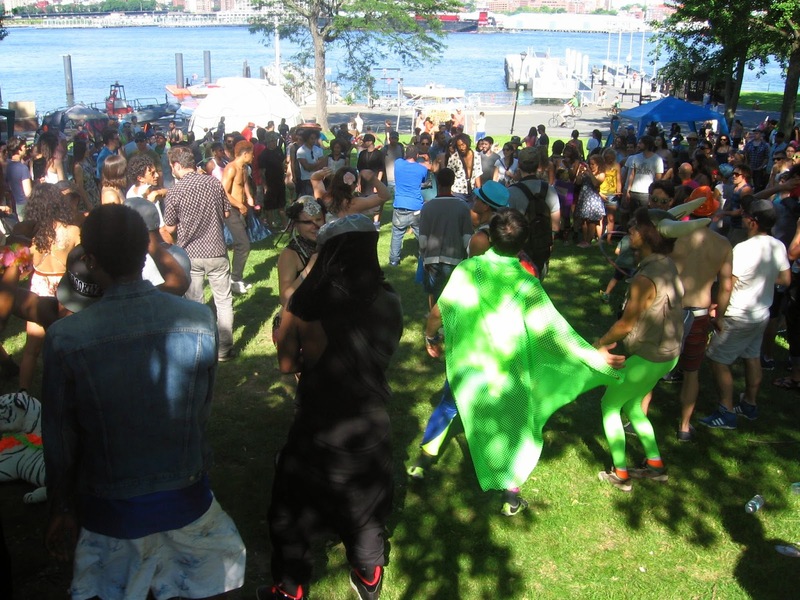 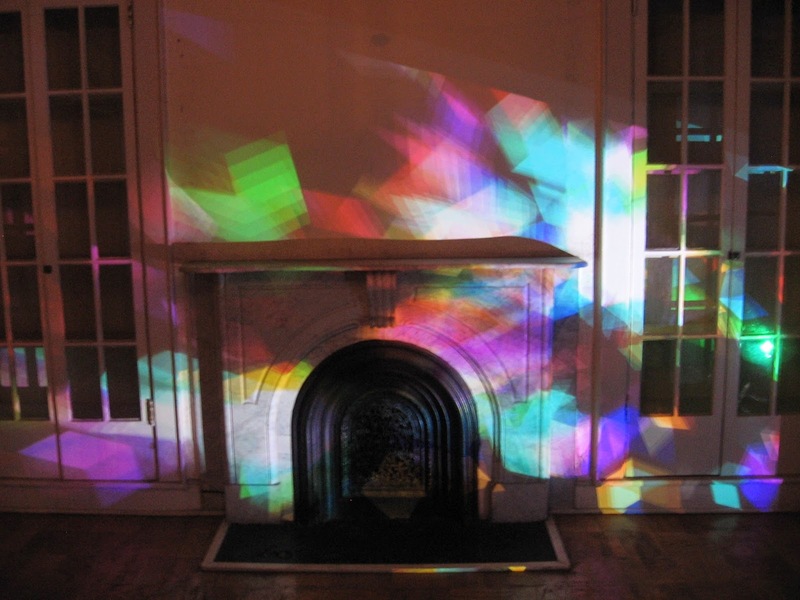 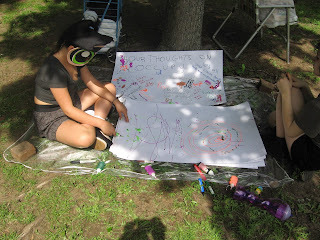 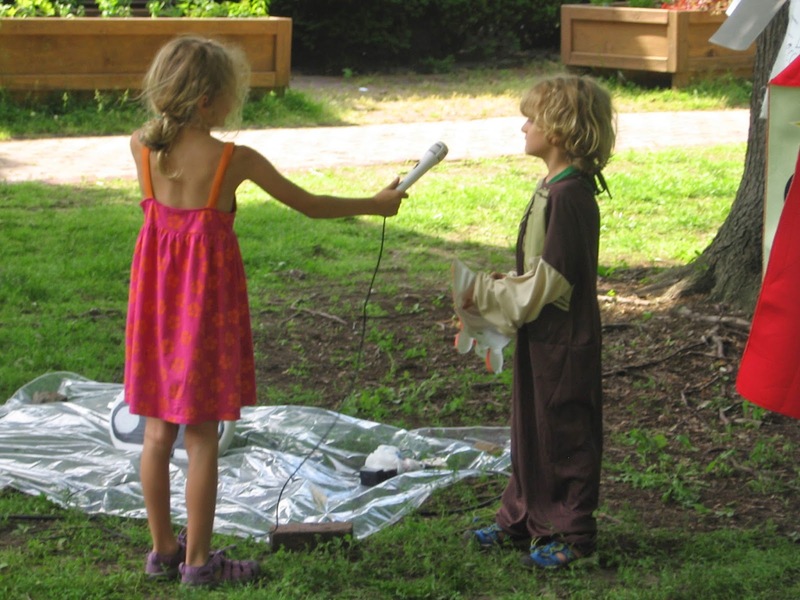 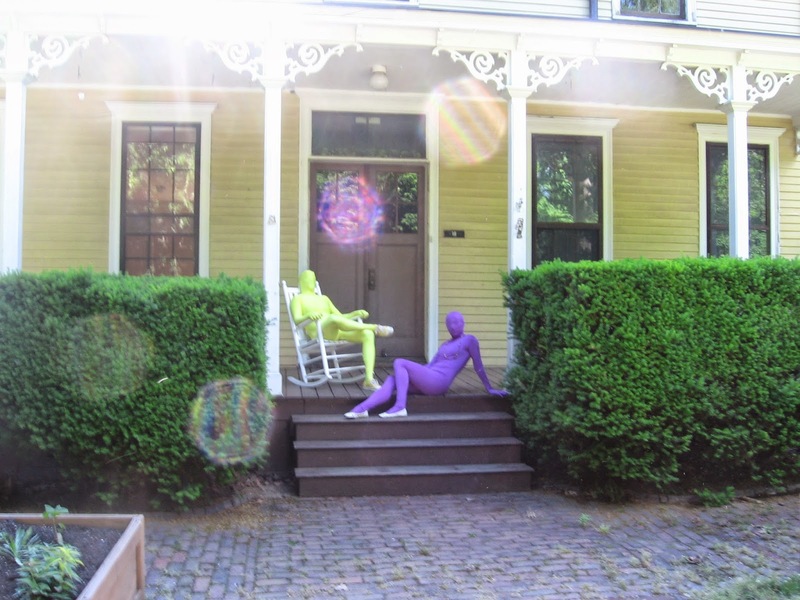 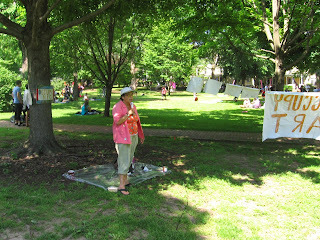 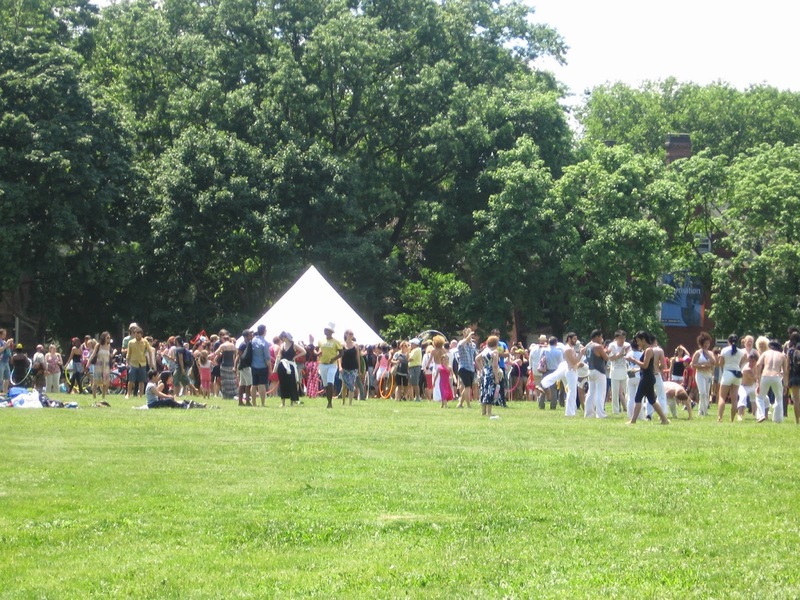 And those one hundred and more art projects and art installations, performances and more that found themselves on Governors Island on this Figment NYC day, well they were even more awesome. 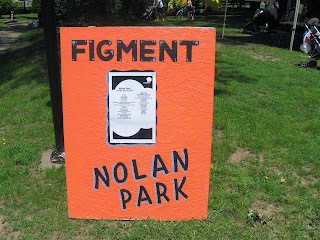 And so this Figment event seems as if it wants photos, photos and more photos and colors, colors and more colors to be added to this post. 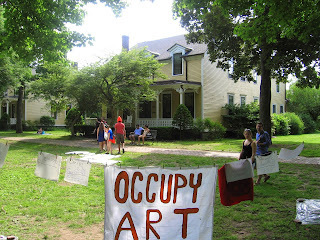 And so Occupy Art Show was at Figment on this day and some of those photos from this Occupy Art Show find themselves posted above. 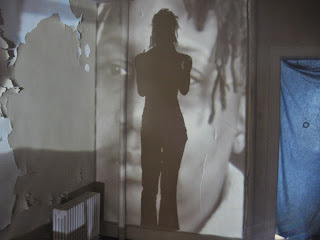 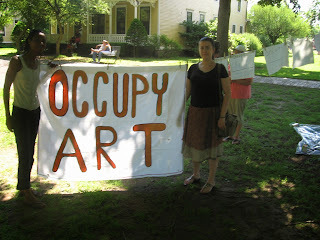 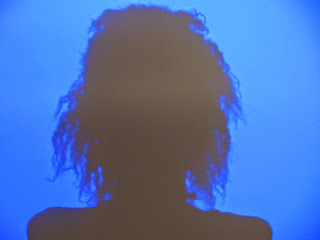 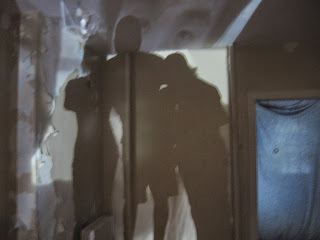 And even more photos from that Occupy Art Show and FIGMENT NYC on this day find themselves posted in my Occupy Art Show @ Figment NYC Facebook event invite. 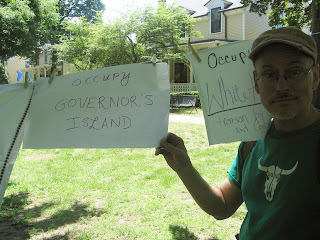 And the Occupy Wall Street People's Puppets were there on this day also. 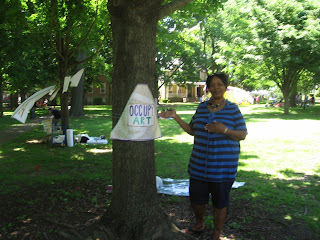 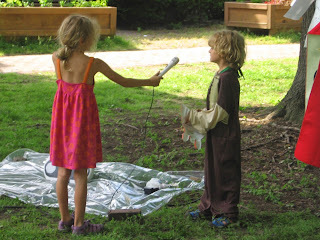 And if I would have known that, I would have Occupy Wall Street People's Puppets went over there to see their show also. 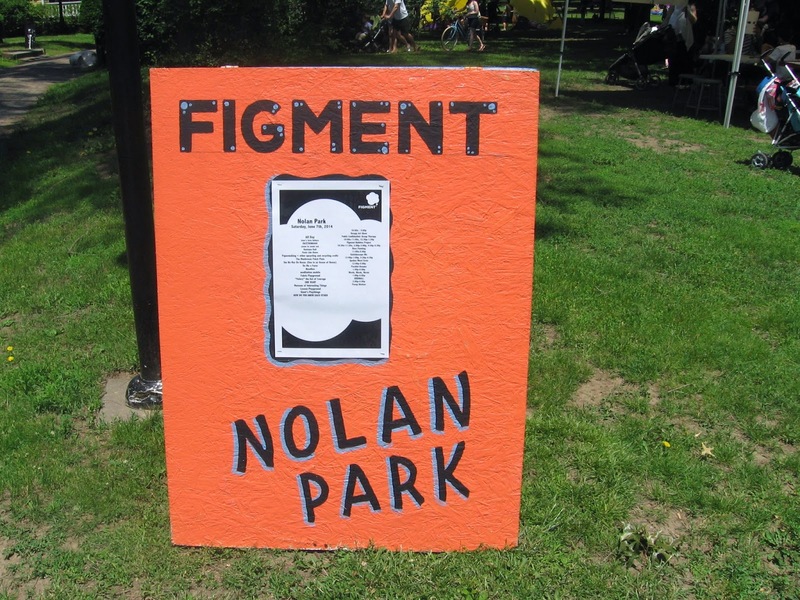 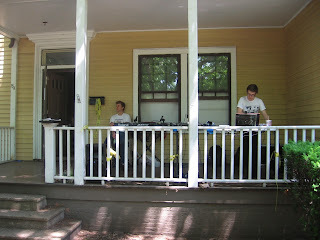 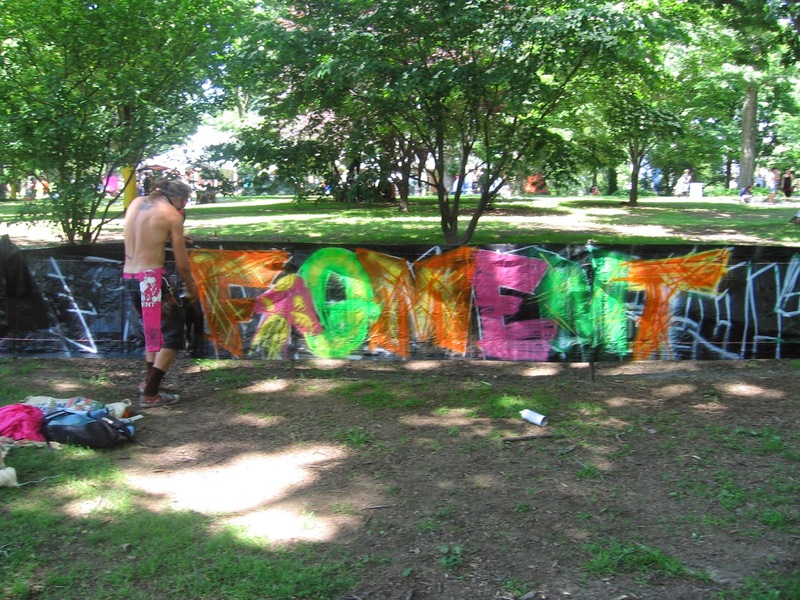 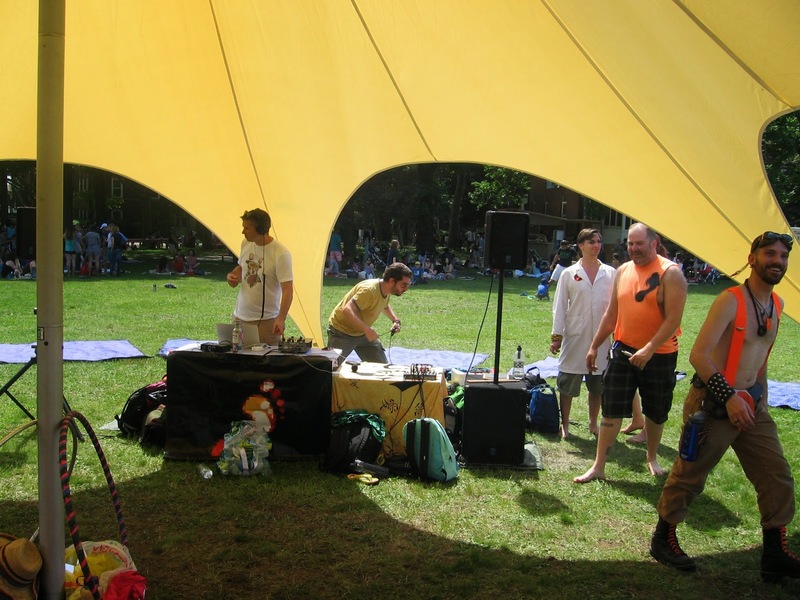 And so Figment NYC has come to an end this past weekend. 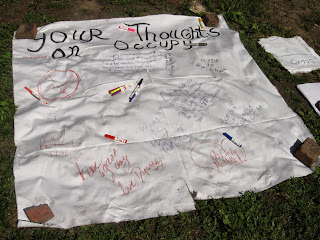 And with that, that Occupy Art Show @ Figment NYC has came to an end as well. 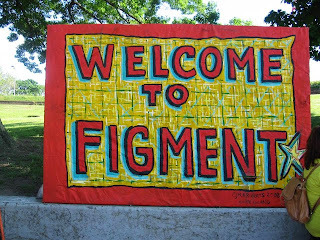 And so Figment is off to San Diego, Boston, Toronto, Washington D.C. and even more cities as well in all its Figmentness. 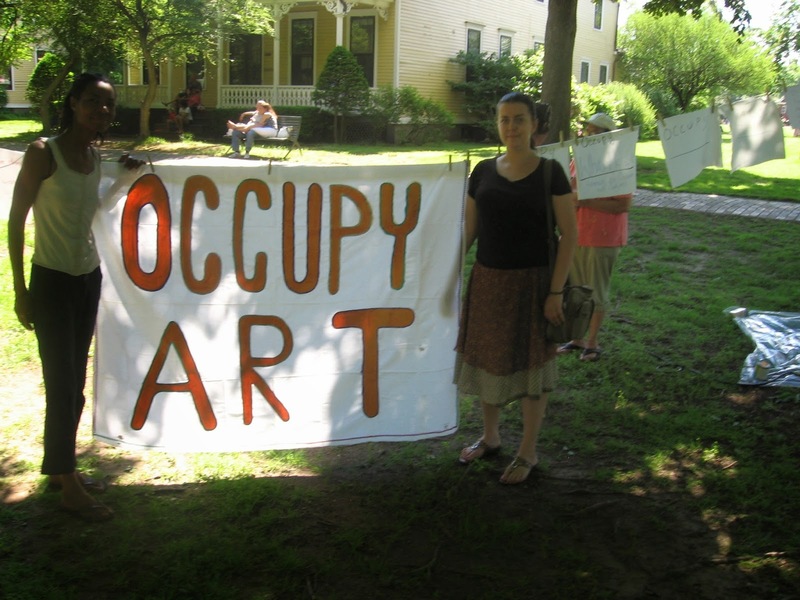 And on this day finds itself as Occupy Wall Street Day 997. 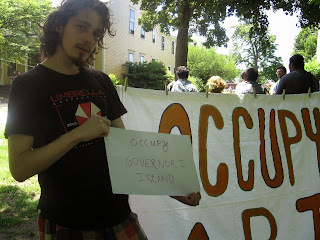 And Occupy Wall Street is still moving fast, well sort of. Occupy Wall Street, Occupy Art Worldwide. 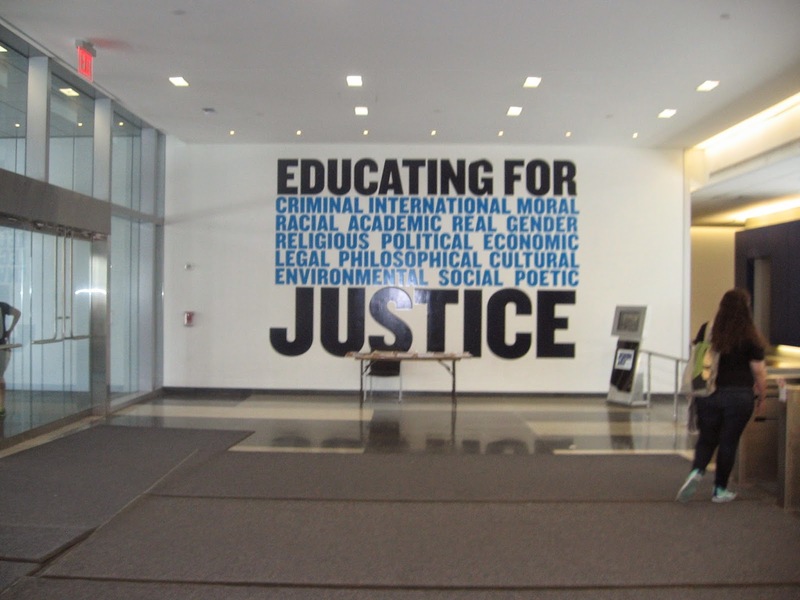 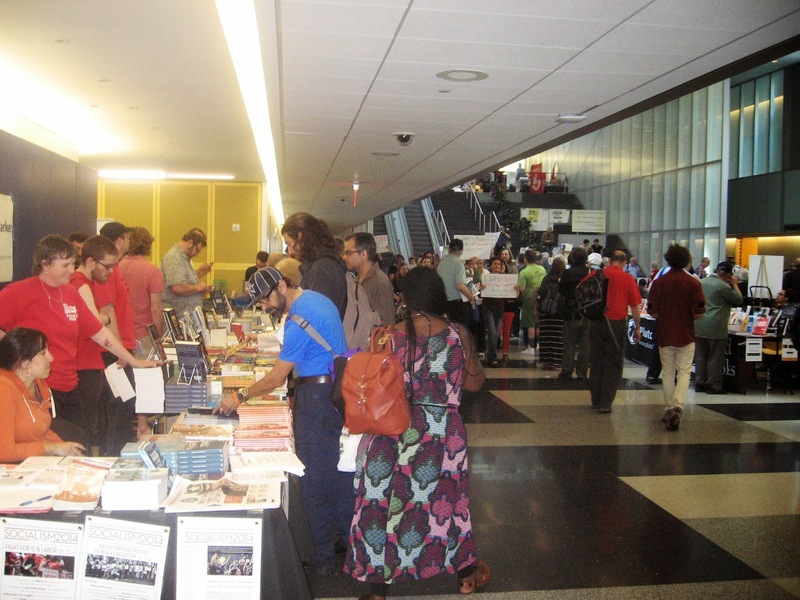 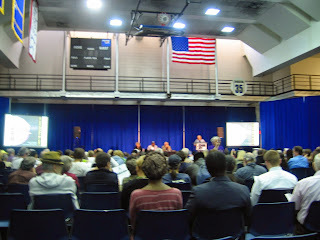 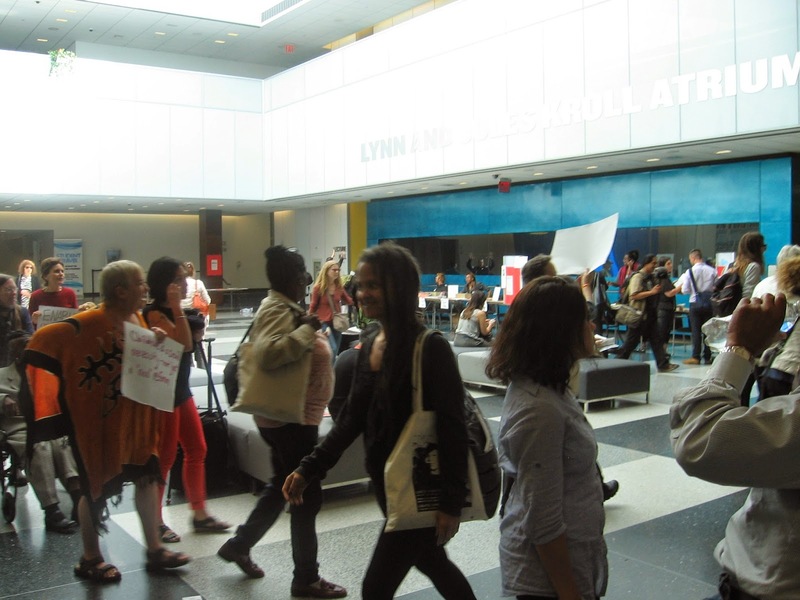 Well that Occupy Art Panel at Left Forum at John Jay College of Criminal Justice in that city of New York that I blogged about a week or so ago happened yesterday. 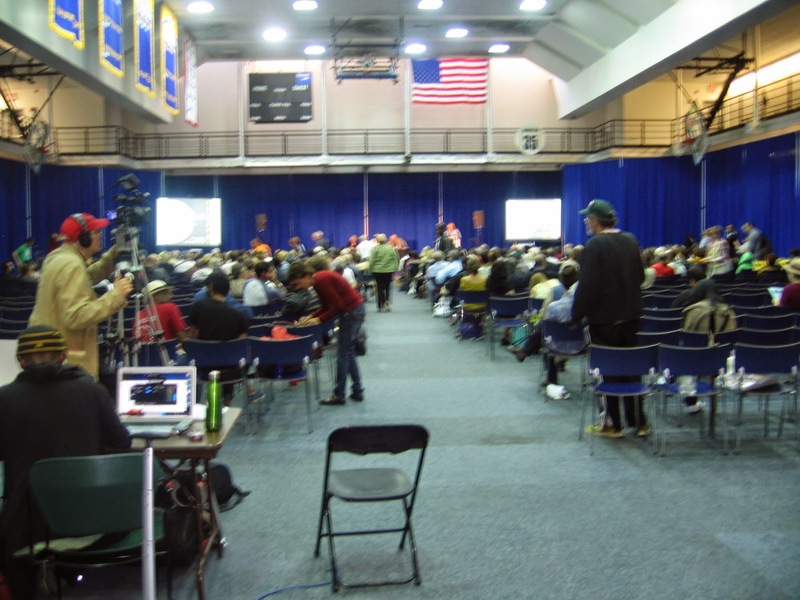 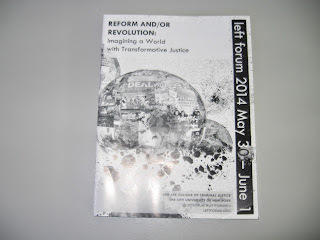 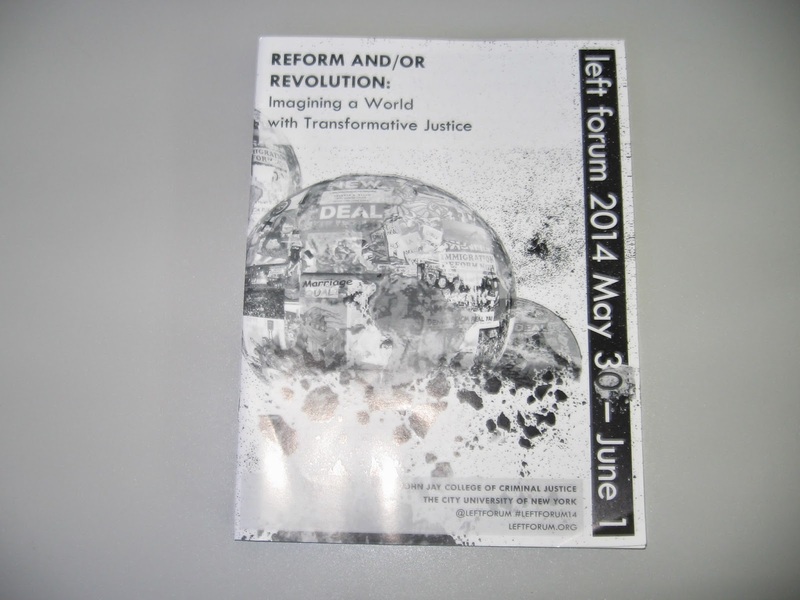 And according to Left Forum, this was their best conference to date. 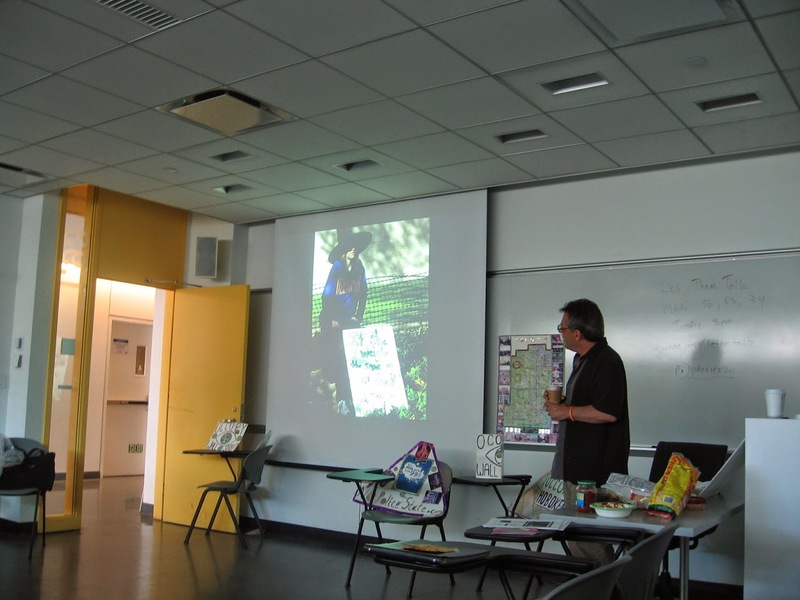 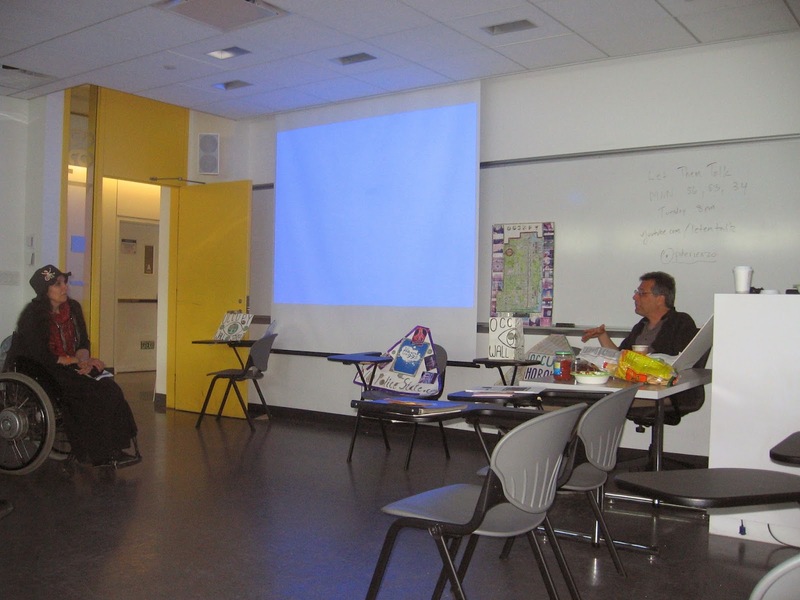 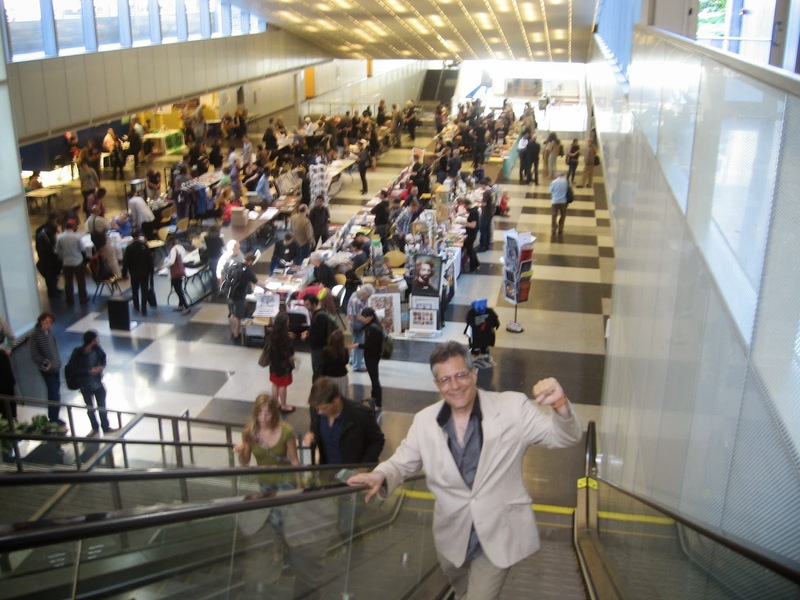 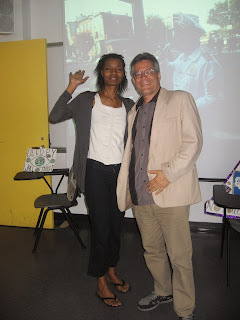 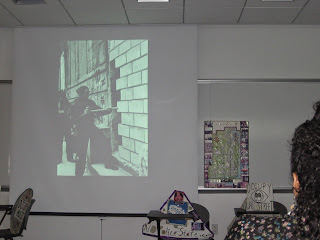 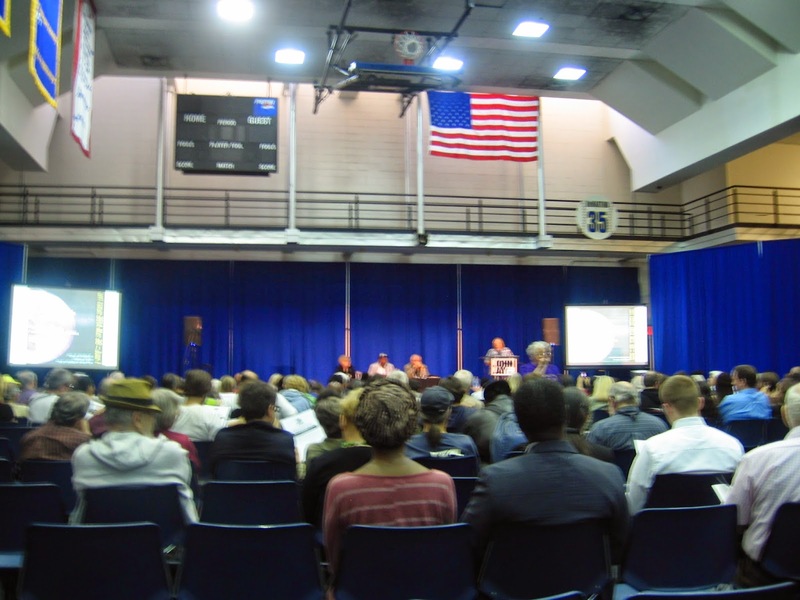 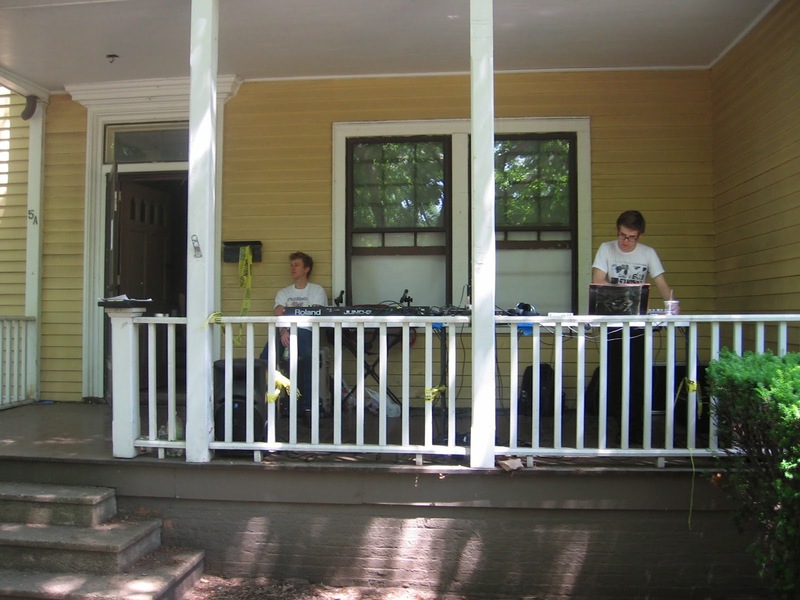 And from what I saw during my time there, despite a panel speaker being missing in action who did not make it to that Occupy Art panel on this day, it was Paul DeRienzo of Let Them Talk who saved the day with his squatter history slide show for the few people who were in attendance. 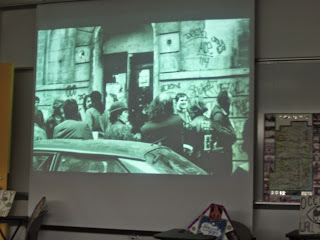 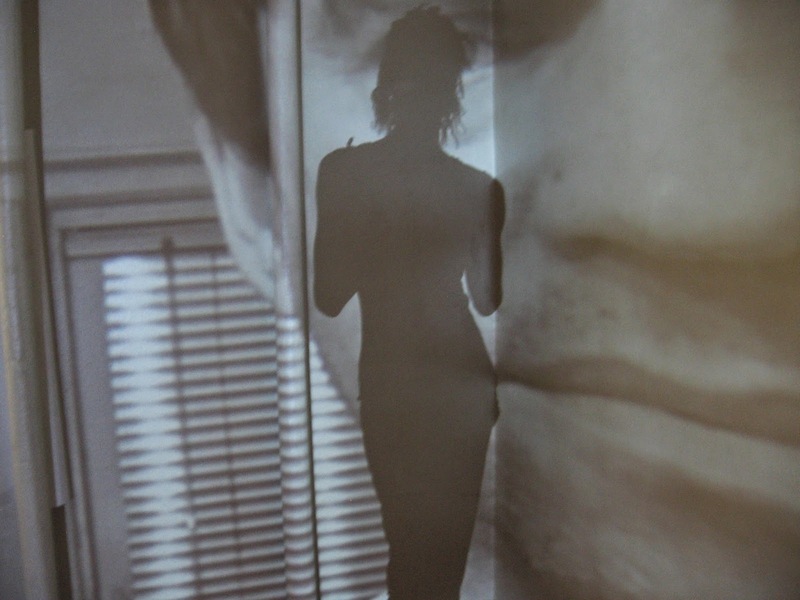 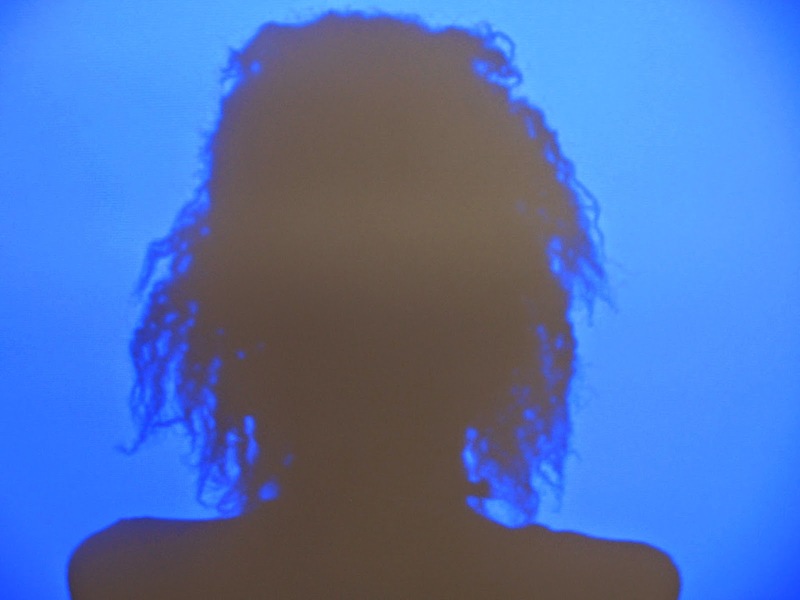 And that slide show was all things squatting and art. 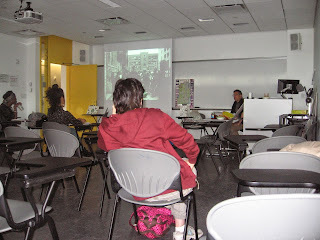 And if it wasn't for Paul and his slide show, that "There will be a slide show presentation of Occupy artwork as well as Lower East Side, NYC Lower East Side Squat History zines" part of Occupy Art's panel description would have just been false advertising and may not have happened. 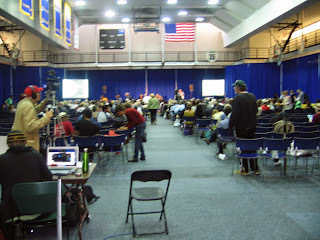 And so how did the rest of that Left Forum conference go on the last day of their three day conference one may ask, maybe? 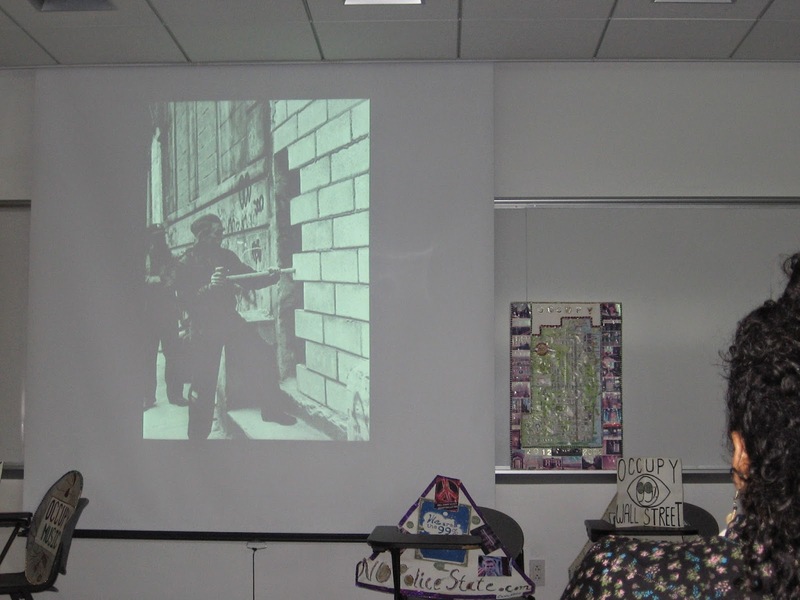 Well those photos above speak for themselves and a picture can tell a story, or something like that. And on this day finds itself as Occupy Wall Street Day 990. 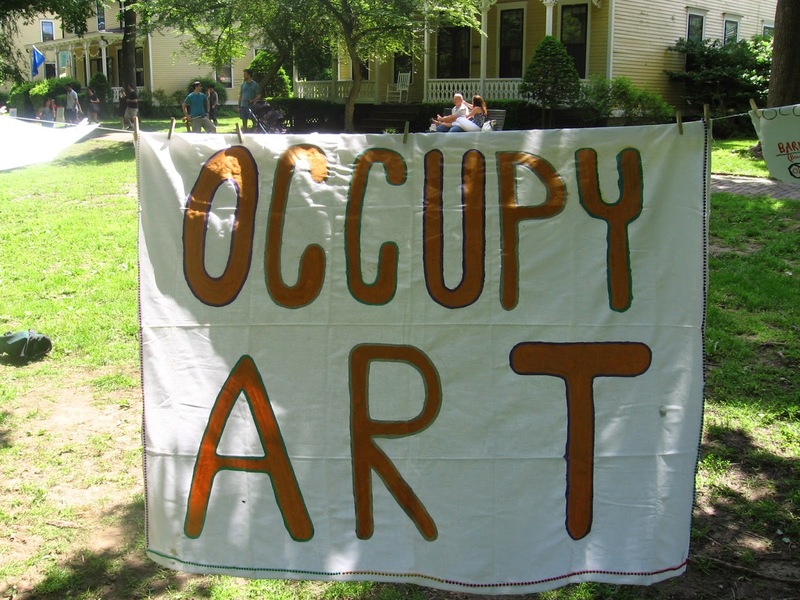 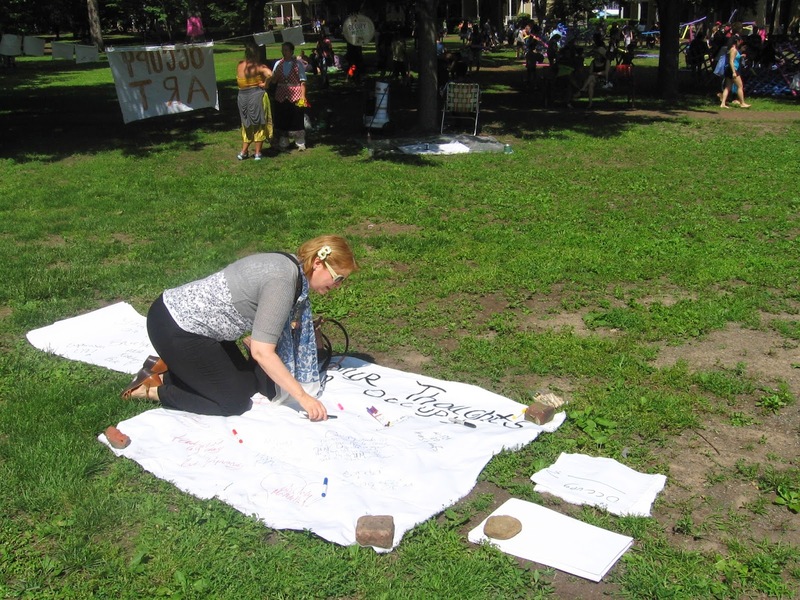 Have a great Occupy Wall Street, Occupy Art day and more.